What is the purpose of Aligning for Impact (aka A4I)? 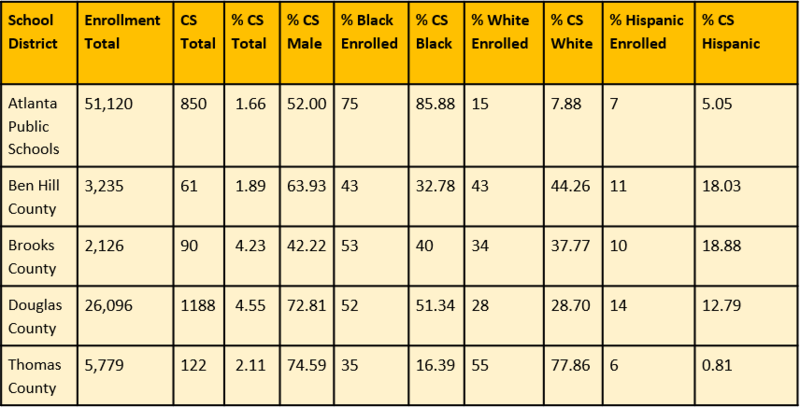 This study served students in racially diverse, low-income district communities (53% to 100% economically disadvantaged). Who is leading the A4I Project? The Primary Investigators on the NSF Project are Dr. Caitlin Dooley, Deputy Superintendent for Curriculum and Instruction at GaDOE (PI), Dr. Shawn Utley, Executive VP Academic Affairs at Wiregrass Technical College of Ga (Co-PI), and Dr. Kinnis Gosha, Assistant Professor, Computer Science Department at Morehouse College (Co-PI). How is the A4I project going to determine quality without CS standards in Georgia? 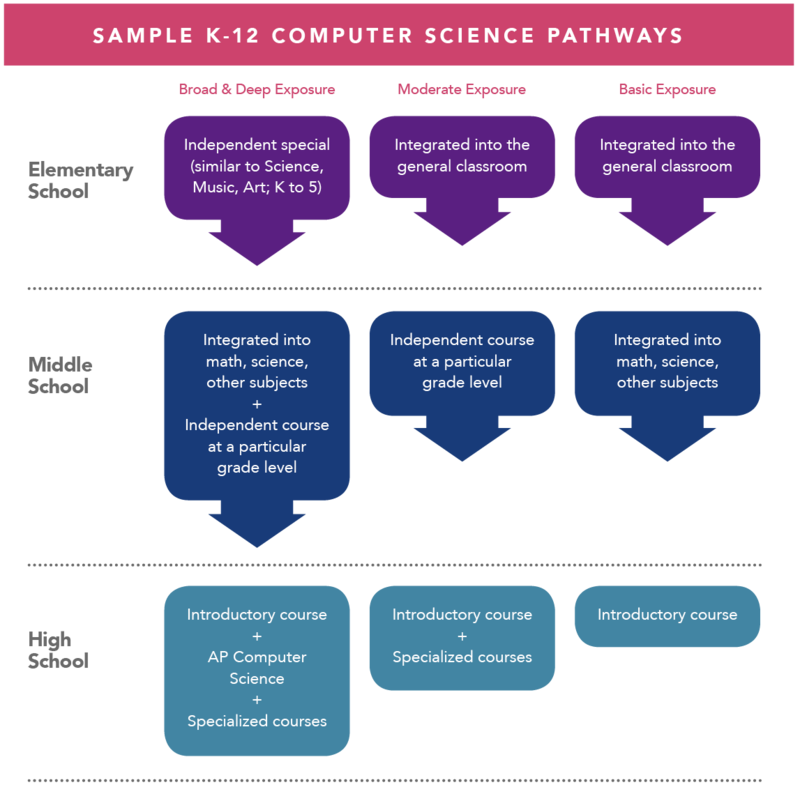 The recently developed K-12 CS Framework (www.k12cs.org) will be utilized as the reference for a quality CS education. Dr. Caitlin Dooley, Deputy Superintendent for Curricullum and Instruction at GaDOE, is one of the authors of the Framework and is the PI for the A4I project. Her office is working on K-8 CS standards to be in place by summer, 2018, and HS CS standards to be in place by the following year. This Framework (among other resources) will help to guide the development of these standards as well. A4I will allow the participating schools and districts to get a headstart on being prepared for the new standards and it will help GaDOE understand what factors to consider in a statewide rollout in the three typical school contexts: urban, suburban, and rural. Here is an example of how the K-12 CS Framework informs imeding quality in K-12 contexts:. The participating five school districts will benefit in the following ways. CS4GA and GaDOE will also create tools to assist other districts outside this NSF funded project. Stay tuned!